Thinking about taking a solo trip? 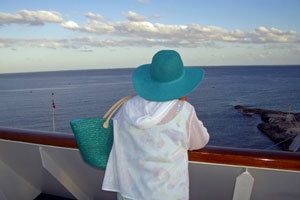 Kelly Cruises & Tours specializes in arranging trips for solo travelers who are looking to venture out and explore. 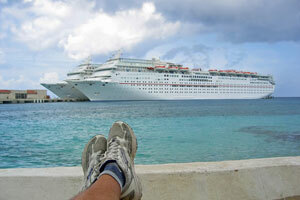 Feel comfortable knowing we have years of experience arranging these types of trips. We take care of all the details from start to finish leaving you worry free. We receive the most up to date deals to ensure you are getting the best price possible. Who doesn’t love a good deal? We know we do! Please be sure to check our website often, as offers may change or new ones may become available. Contact our office to speak with one of our travel professionals to answer and assist you with any questions you have. To help you discover ways to explore the world, we're pleased to share our digital magazines, The Travel Experience & Ultimate Experiences. We recommend optional travel protection in the event of having to cancel your trip avoiding travel vendor cancellation policies and more! Choose from AIG TravelGuard, Medjet Assist and On Call International. The fastest way to get a VISA, renew or get a new passport. Let CIBT's experts handle it all for you! © Copyright 2019. All Rights Reserved. Kelly Cruises & Tours.